It is an early Mardi Gras this year and it will be celebrated this Tuesday, February 13. There will be a parade on Elk Avenue starting at 5:30 p.m. Anyone can join in…just show up with your float at the Depot at about 5 o’clock. Enjoy a Hurricane and celebrate with some beads. Bring the family to dinner at the Trailhead on Friday for a Valentine-making Family Night on Friday, February 9 from 5:30 to 7:30 p.m. The $15 cost includes art supplies, dinner, and playtime in the museum. Families and friends work together and learn fun, abstract watercolor techniques to create vibrant backgrounds for your Valentine cards. 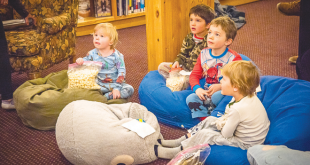 Bring a friend, neighbor, grandparents—all are welcome in this fun family night at the Trailhead. Everyone will have one-of-a-kind Valentines to take home. Annual Flauschink button contest is on! Crested Butte will be celebrating its 50th year of Flauschink this spring and organizers are looking for a fabulous button design for the 2018 button. This will be the event’s 50th button. Please submit your design by mail to Sherrie Vandervoort, Box 152, Crested Butte or email it to sherbearcb@yahoo.com by February 26. The winner will receive $50 and will forever be a part of Flauschink history. Jen Nolan, BS, MS, will present a talk about “Nutrition and Cancer” at 7 p.m. on Monday, February 12. Learn how healthy eating can aid in the prevention of cancer and how nutrition can be used, in an integrative way, alongside certain cancer treatments. Jen will share common causes of cancer and teach healthy strategies to incorporate into your daily lives. Prevention and lifestyle changes are our best defense against cancer. Call (970) 349-6535 or email lisa@gunnisoncountylibraries.org for more information. Jamie Ford, New York Times bestselling author, is coming to Crested Butte for two events. 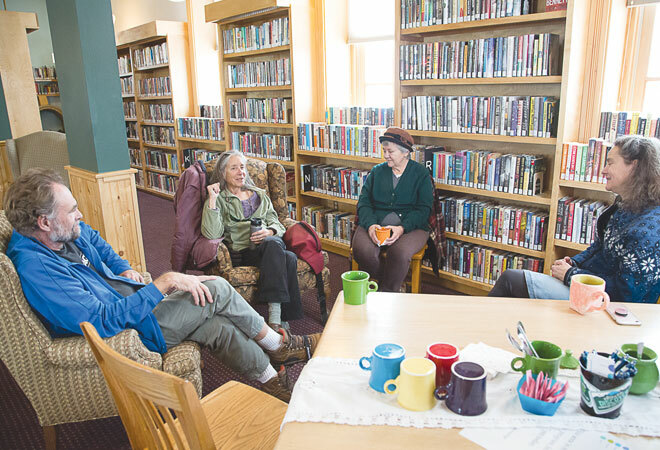 He will be reading from his latest novel, Love and Other Consolation Prizes, at the Crested Butte “Old Rock” Library on Thursday evening, February 8 at 7 p.m. In addition, he will host a writing workshop on that same date, from 10 a.m. to 1 p.m. at the Mt. Crested Butte Town Hall. Calling all teens: Get creative with your friends on a Saturday night while enjoying pizza at the Gunnison Arts Center on Saturday, February 10 from 5 to 7 p.m. Start and finish a popular painting with acrylic paints on canvas. Instructor: Emily Woods. 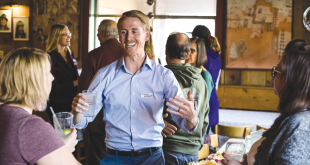 The cost is $10 per student (Gunnison Hangouts Program). Students must pre-register by February 9 for supplies. 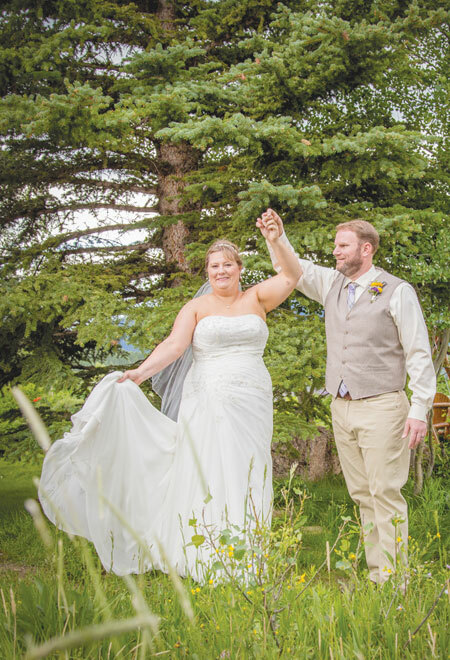 CONGRATULATIONS: Piper Thompson and George Reasoner were married at the Mountain Wedding Garden on July 16, 2017. 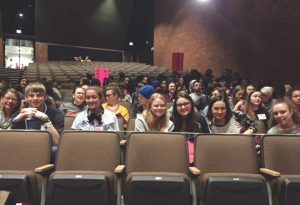 VERY INSPIRING: A delegation of CBCS high school students, accompanied by Kriste Lyon and Jennifer Read, attended the Cherry Creek Diversity Conference on February 3rd at Cherry Creek High School. 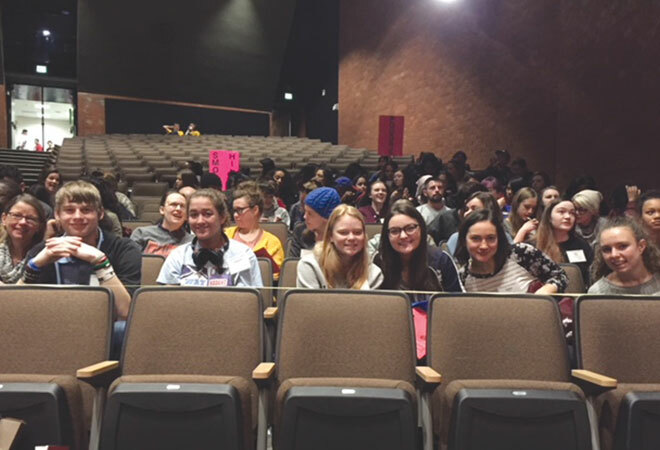 More than 1,000 students from across the state participated. Dolores Huerta was the keynote speaker. Cameos: What are some of the best ways to spread the love around Valentine’s Day? I’ll pick up all the dog poop.